it doesn’t mean you should. 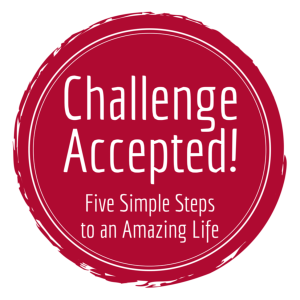 When I set out to publish Challenge Accepted!, I wanted to do it fast. That was part of my challenge! I promised my podcast audience the book by January 27th, 2015, and I delivered on that by allowing everyone who heard about it to download a completed draft of the book. I had every intention of cleaning up the text and sending it to the printers by the end of February. The schedule is in good shape and I can still do it. I won’t because as I’ve shared the book with more people, I see that it has greater potential. It deserves extra attention so that it can reach a wider audience. Not because I need to sell more books (which I hope to do), but because it has a chance to connect with more people and make a bigger difference. There are additional projects related to this book that need to be completed to help maximize its impact. So while I’m disappointed that the book will be delayed, I’m excited that it’s for all the right reasons. It’s not procrastination. It’s not The Resistance. It’s not doubt, or fear, or because I need to perfect it before sharing it with the world. It’s because it deserves it. That’s how much I believe in this book, and this movement. And I hope you will, too. The preview counter has been reset to March 15th. It won’t be extended again. 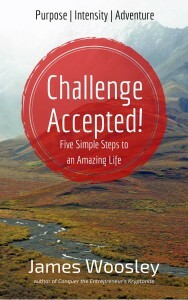 Please share ChallengeAccepted.info with your friends and give them the opportunity to be a part of shaping this book and joining the launch team. Together, we’re going to have fun behind the scenes! author of Conquer the Entrepreneur’s Kryptonite and Challenge Accepted!